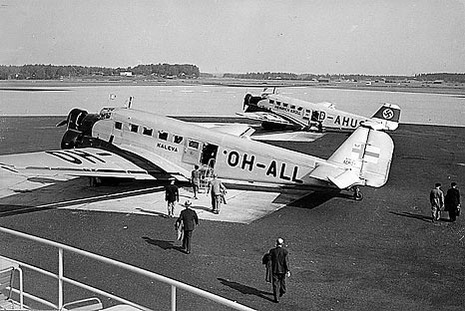 Kaleva, registered OH-ALL, was a civilian Junkers Ju 52 passenger and transport plane, belonging to the Finnish carrier Aero O/Y. The aircraft was shot down by two Soviet Ilyushin DB-3 bombers during peacetime between the Soviet Union and Finland on June 14, 1940, while en route from Tallinn to Helsinki, killing all 9 onboard. 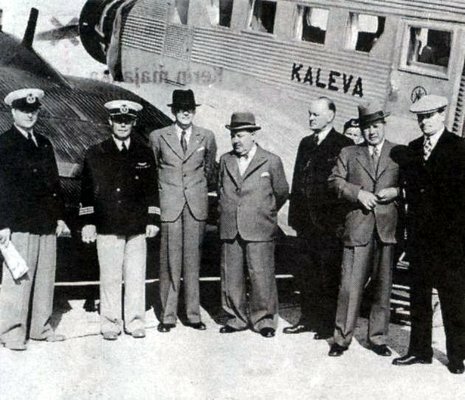 Kaleva was a Junkers Ju 52 transport plane, belonging to the Finnish carrier Aero O/Y. The aircraft was shot down by two Soviet Ilyushin DB-3 bombers on June 14, 1940, while en route from Tallinn to Helsinki.A few minutes after taking off in Tallinn, Kaleva was joined at close range by two Soviet DB-3T bomber aircraft. The bombers opened fire with their machine guns and badly damaged Kaleva, making it crash into the water a few kilometers northeast of Keri lighthouse. All nine passengers and crew members on board were killed. One of those individuals, Henry W. Antheil JR., had his career cut tragically short on June 14, 1940. His plane, the "Kaleva," exploded at 2:05 p.m. local tie, shortly after taking off from Tallinn's Ulemiste Airport en route to Helsinki. Antheil was carrying three diplomatic pouches from the U.S. legations in Tallinn, Tiga and Helsinki on the very day that the Soviet blockade of Estonia went into effect. Soviet troops had already been based in the country since Oct. 18, 1939, as a result of a secret protocol to the molotov-Ribbentrop Pact that the Soviet Union and Nazi Germany had signed earlier that year.